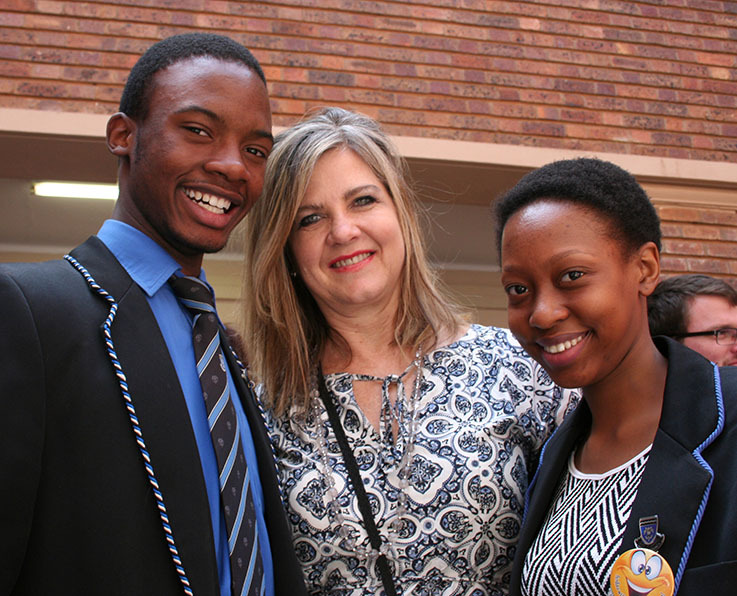 International teachers’ day was recently celebrated in a festive manner at the Potchefstroom Campus of the North-West University (NWU). Learners from high schools in Potchefstroom entertained students, school learners and staff with singing, recitations and a dance item. Ruben Smith from the Potchefstroom Gymnasium and Blessing Nstanga from the Hoër Volkskool both performed songs, while Kgothatso Khiba from the Ferdinand Postma High School performed a dance. Art by the high school and preschool learners was also exhibited. After the concert a statue of the elephant of the Faculty of Education Sciences was unveiled. This statue symbolises the faculty’s pursuit of excellence, while it embraces the diversity and the community. The dean of the Faculty of Education Sciences, Prof Robert Balfour, said that the elephant symbolises the leadership, endurance, power and wisdom of education. The project to make the statue of the elephant was a team effort by the faculty, the students and the community. The whole statue was made from recycled material. 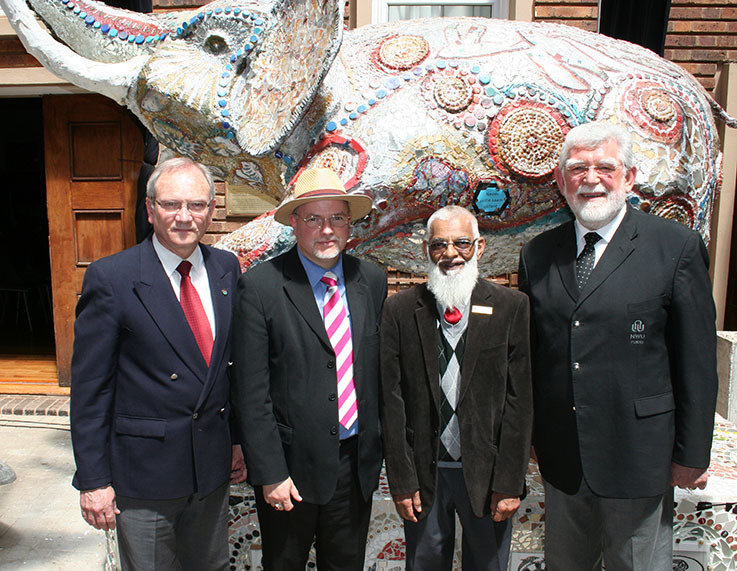 With the statue of the elephant in the background (from the left) Dr Herman van Vuuren (director of the School of Human and Social Sciences for Education), Prof Robert Balfour (dean of the Faculty of Education Sciences), Mr Hasimbhay Motara (district director of education in the Kenneth Kaunda District) and Prof Fika Janse van Rensburg (campus rector). Two learners from the Ferdinand Postma High School who participated in the culture activities, Tshiamo Monyai (left) and Kgothatso Khiba, with Ms Merna Meyer (Creative Arts subject group).